Wine Pairing Weekend - #winePW - happens on the second Saturday of the month. And this month I'm hosting. "It's all about romance," I wrote in this month's #winePW invitation (click to read the invitation: here). The first couple that popped into my head when I thought of romance was Romeo and Juliet. I don't mean one of Shakespeare's most well-known plays that borders on the ludicrous as far as being a veritable love story. Well, sort of. I mean Romeo and Juliet's city of Verona. Maybe it's because when I was there for a few days on my way to Venice, the entire city was shrouded in gossamer veil of fog. But Verona felt like romance...and I was traveling solo. Just outside the city of Verona are the vineyards of the Valpolicella region; all around Lago Garda, west of Verona, is the historic heart of this very traditional wine. The region produces a wine called Ripasso which translates to 'passed again.' 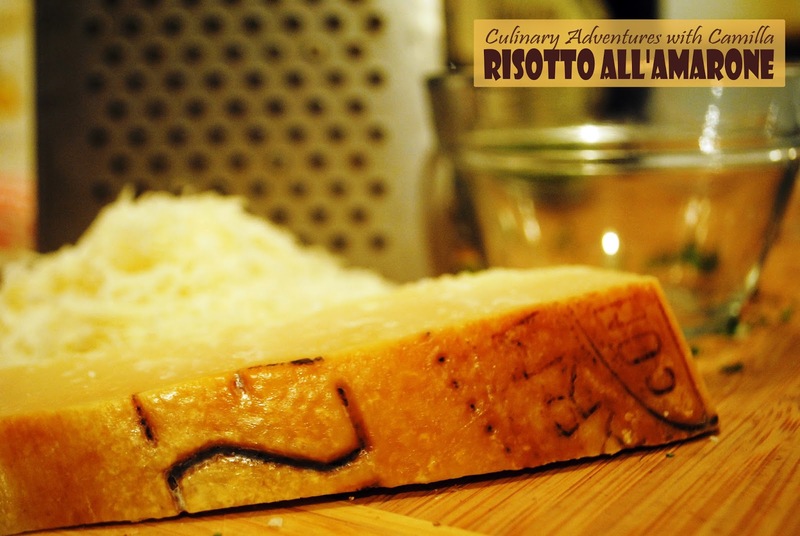 It refers to a regular Valpolicella added to a cask with skins left from fermented Amarone. This process of re-passing the lighter Valpolicella wines over the leftovers of the Amarone renders the Valpolicella darker, richer, and more flavorful. The second fermentation also increases the alcohol content of the wine. 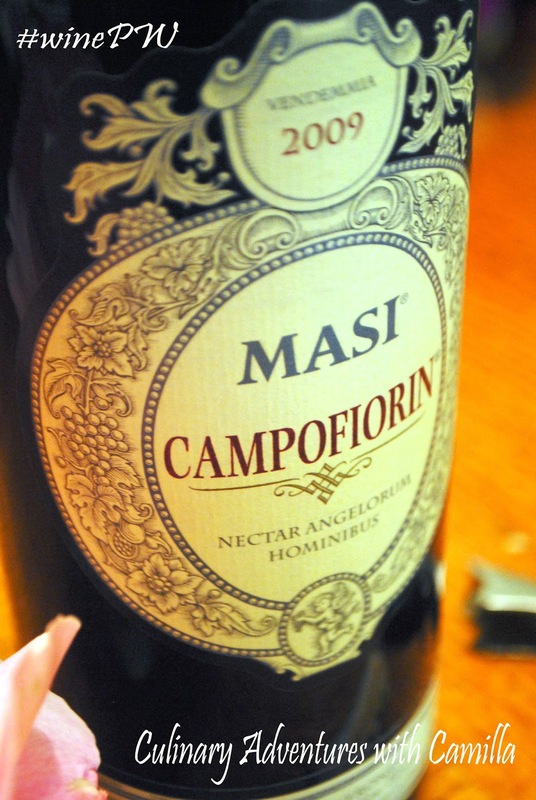 Though Masi Campofiorin Rosso del Veronese 2009 is made through a similiar double fermentation process - that was patented by Masi - the wine doesn't fit squarely into the traditional Ripasso process. But it does exhibit the traditional Ripasso character and flavor profile. This wine has a brilliant red color with a regal purple edge. The Campofiorin is lush and complex with vibrant fruit and soft tannins. It pairs well with hearty dishes. When I traveled to Verona, I was on a serious starving student budget. I remember eating bread and cheese at the hostel and buying a kilo of grapes at the market during the day. I always saved money for a glass of wine at an enoteca. And I did splurge on the baci di guilietta and baci di romeo. How could I not? So, when I set out to pair my wine, I looked at traditional Veronese dishes: pastissada de caval (I don't think Americans look too kindly on eating horse though), polenta e renga, rixoto col tastasal. 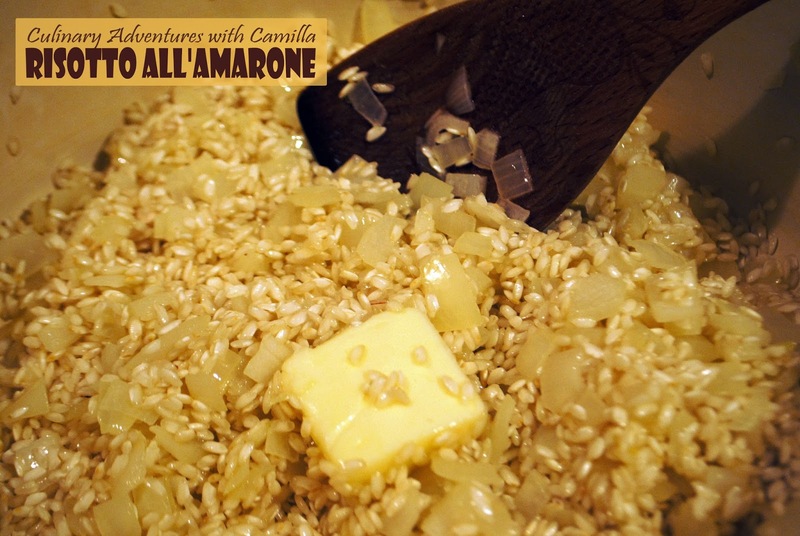 But, in the end, I decided to make Risotto all'Amarone, a risotto with the local Amarone red wine. Bring your stock, wine, and water to a boil. Then reduce it to a simmer and keep it on a burner adjacent to your risotto pan. Melt 1 T butter with a splash of olive oil in a large, flat-bottom pan. Add the onions and cook until onions are translucent and beginning to caramelize. Add in the rice and 1 more T of butter. stir until completely coated with oil and butter. Add one ladle of simmering liquid at a time, stirring, stirring, and stirring some more till the liquid is absorbed. Repeat until the rice is soft. If you need more liquid, just add more; if you don't use all of the stock, that's okay, too. Let stand for 5 minutes. Season with fleur de sel and pepper to taste. Stir in marscarpone cheese. To serve, spoon out individual servings and grate cheese over the top and sprinkle with chopped parsley. Serve immediately. Drizzle with Amarone if you wish. Be sure to check out what my fellow bloggers have come up with for the February Wine Pairing Weekend! These are listed in alphabetical order by post title. Follow the #winePW conversation on Twitter throughout the weekend and beyond. If you're reading this early enough, you can join us for a live Twitter chat on our theme "It’s All About Romance" on Saturday, February 14, from 11 a.m. to noon Eastern Time. ...on our February #winePW event. 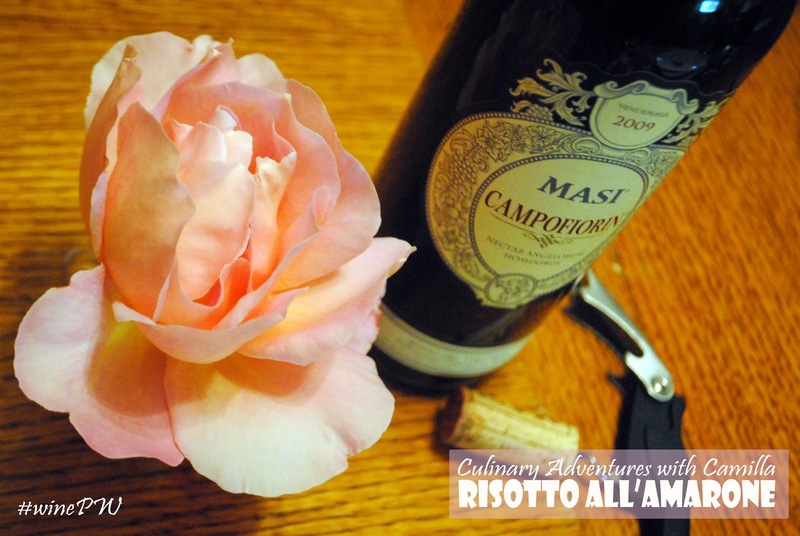 My Risotto all'Amarone + Masi Campofiorin pairing was delicious! 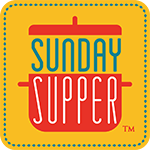 I'll pin this recipe and other posts on my #winePW pinterest board. David, our host, also has a Wine Pairing Weekend pinterest board. Stay tuned for the March Wine Pairing Weekend, which will focus on "Open That Bottle Night (OTBN)*" Pairings on March 14, 2015, #winePW 10, hosted by Cooking Chat. Here's David's invitation for the event. *Note OTBN is on February 28. On the 3/14 #winePW day, we’ll share about what we opened and paired with it. If you can't find Masi Campofiorin, swap out for any Valpolicella Ripasso. And if you try this pairing - or just the wine - I would love to hear what you think. Comment below or tweet to me at @Culinary_Cam. Looks wonderful. What a great experience to have spent time in Verona and to bring that back to your wine & food pairings. Your description of the wine is excellent, I can almost taste it! Happy Valentine's Day and Wine Pairing Weekend. Thank you again for hosting this week! Thanks, Christy. And thanks, too, for posting this month. 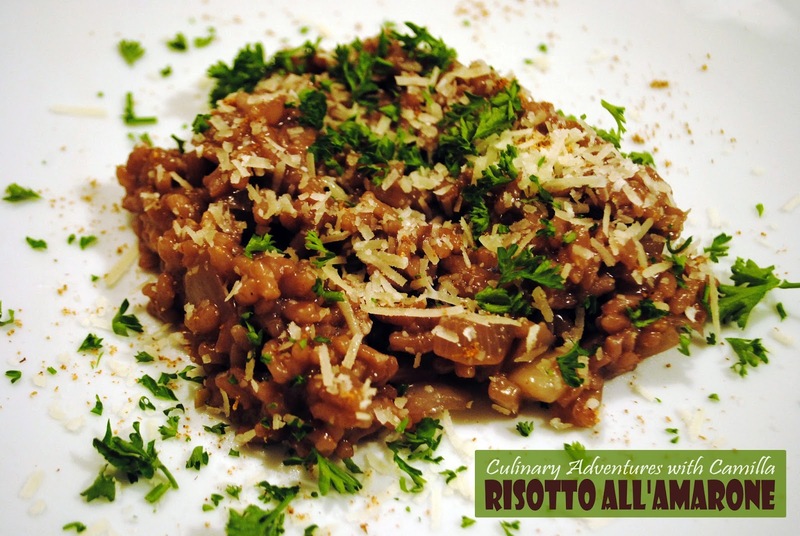 I love risotto and this looks like a great version! Thanks for linking to the March invite. Just emailed you about that, see you beat me to it! Thanks. Yes, that's the good thing about being on the West Coast. I linked up a few things before I headed to bed last night. 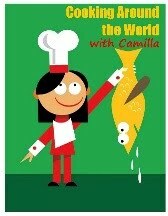 ooooh Cam.....this looks so delicious...I think I may add some mushrooms to the mix. Thanks for sharing and I hope the next time you are lucky enough to visit Verona you are not visiting solo. Mushrooms would be a great addition. Maybe even crisped mushrooms on top. Yes, Verona is on my list again. Last week...oh, I am jealous. This sounds like a wonderful wine and a perfect pairing! Glad you joined the fun, Amanda! Honestly, have never made Risotto. Your recipe looks like my speed and delicious. I will add it to my dinner list for this month. A wonderful pairing. Thank you. Definitely do Let me know how it goes. Great meal for lovers - of the star crossed Verona variety or for those with a better fate. I'm drooling here Cam! 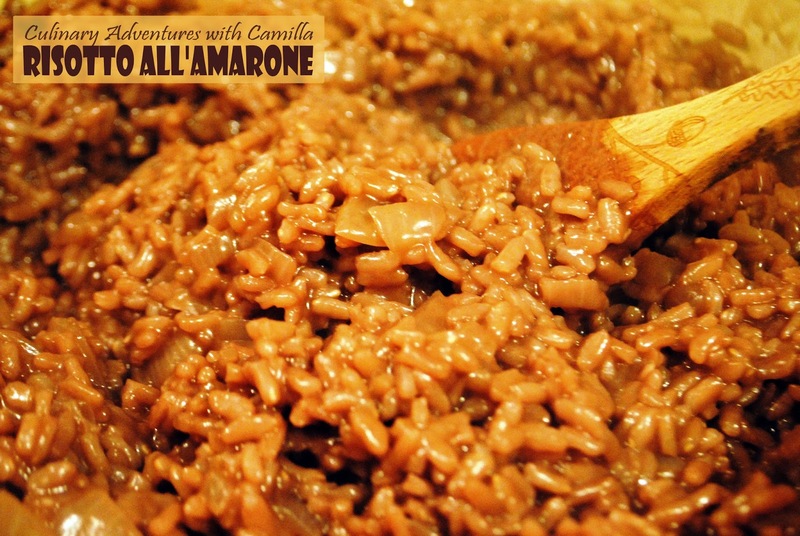 I adore Risotto and your version made with Amarone sounds divine! I can totally see this going with your wine. Looks and sounds like a great pairing! It was a great pairing. I will definitely be doing it again soon.